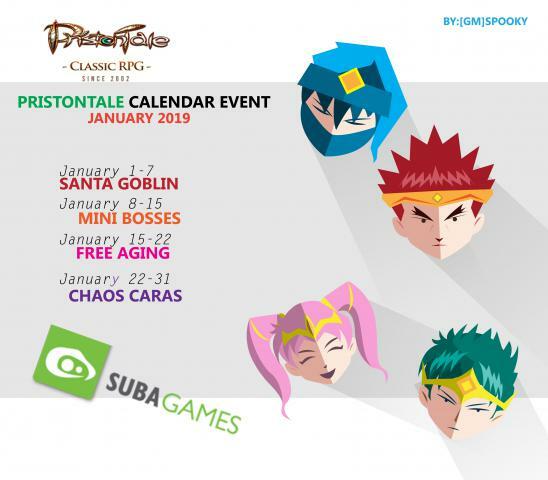 Here's the event calendar for January 2019. As always, if there are any changes to the calendar, they will be announced ahead of time. yes for maintenance.... 2 hrs already? something gone wrong? It always crowed player . Why don't set fury in other maps? I don't know who will hunt mini-boss except for fury . Whats the best monster for exp? any info for feb. event? any idea what event for this month? are we gonna have any events in march or you guys just gave up on making events? Anyone knows if there are events coming for march?